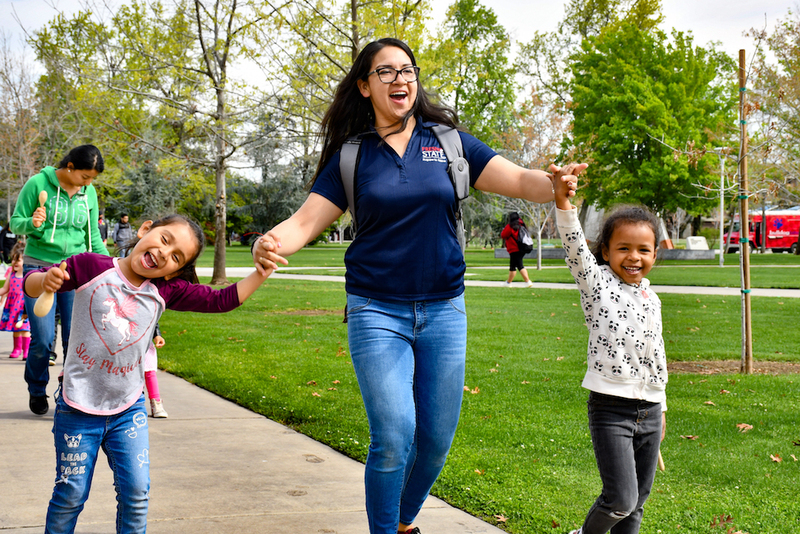 Fresno State’s Programs for Children, along with the Huggins Center, celebrated the annual Week of the Young Child (WOYC). 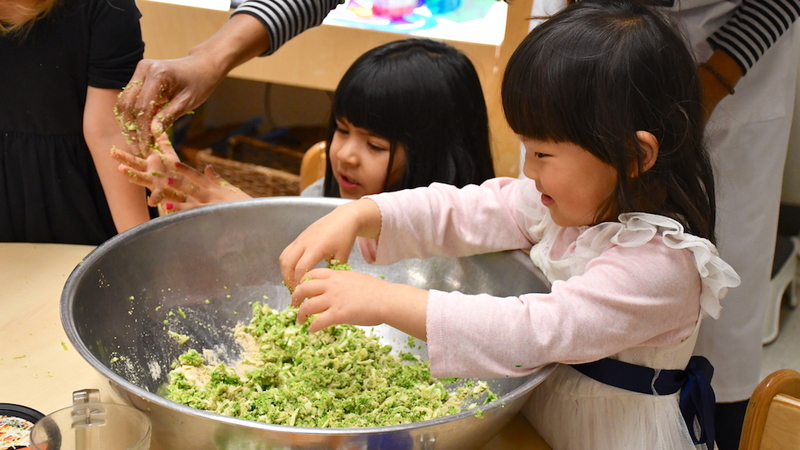 Children engaged in a week full of festivities heightening their senses, building on their skills and letting their minds explore through creative activities. 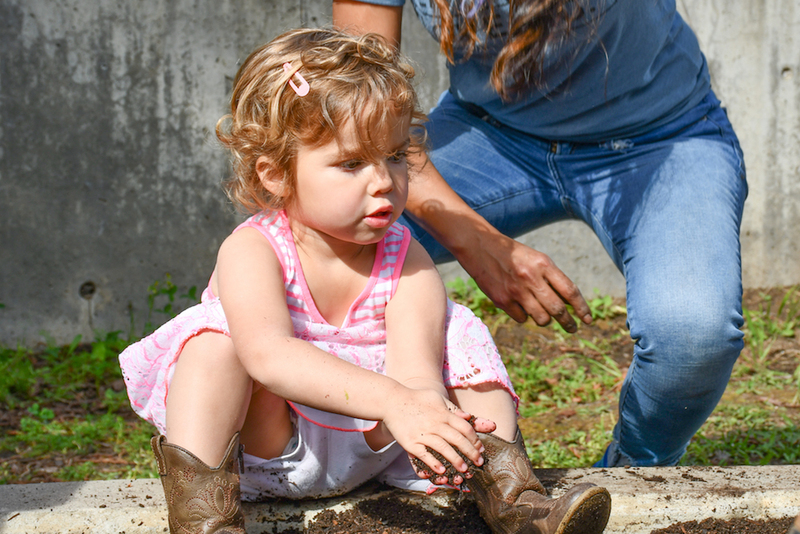 The Week of the Young Child, hosted by the National Association of Education for Young Children (NAEYC), celebrates early learning, young children, their teachers, and families. 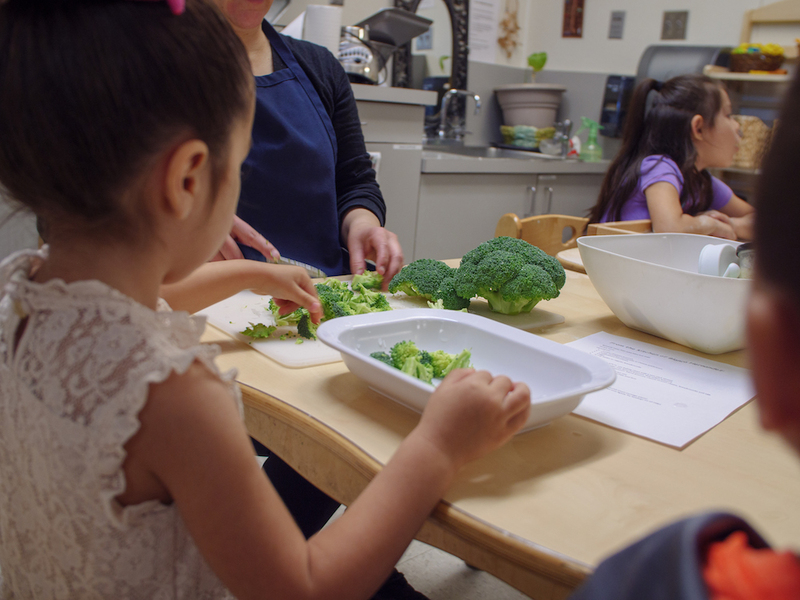 The NAEYC accredits the Kremen School of Education and Human Development’s early childhood education program along with the Huggins Center. 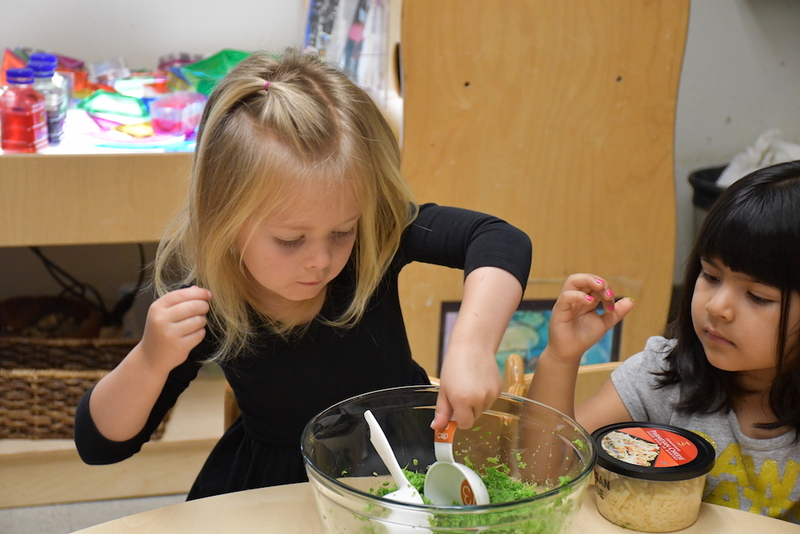 The Kremen School is proud to participate in the NAEYC’s annual events and celebrations. When it comes to picky eaters, parents will try any game or disguise to get their children to try new foods. 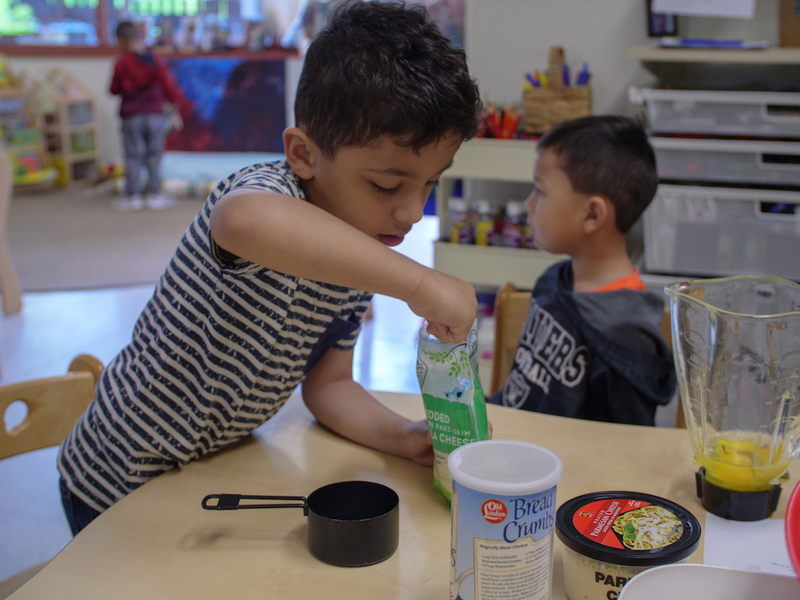 For the WOYC’s Tasty Tuesday, parents sent the Huggins Center recipes that they would like their children to try. 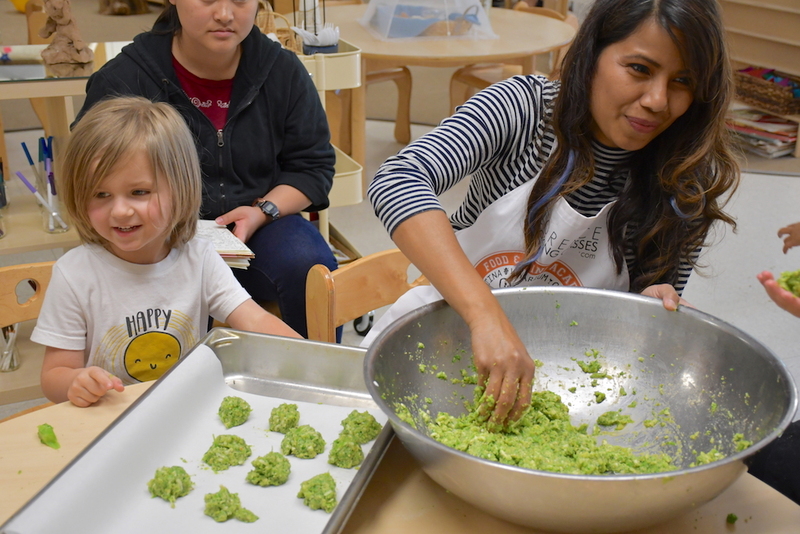 Multiple picky eater recipes were tried at the center; from broccoli tart to vegetable tacos. 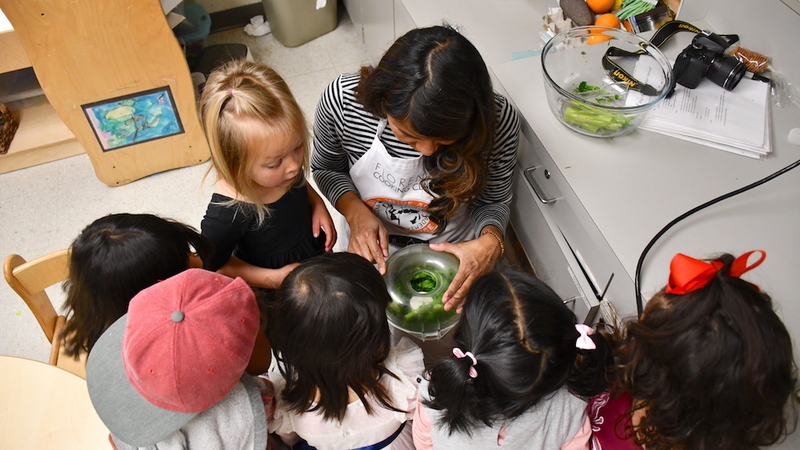 Many children were willing to try different vegetables and enjoyed being involved in cooking process. Children used their senses to explore the garden. 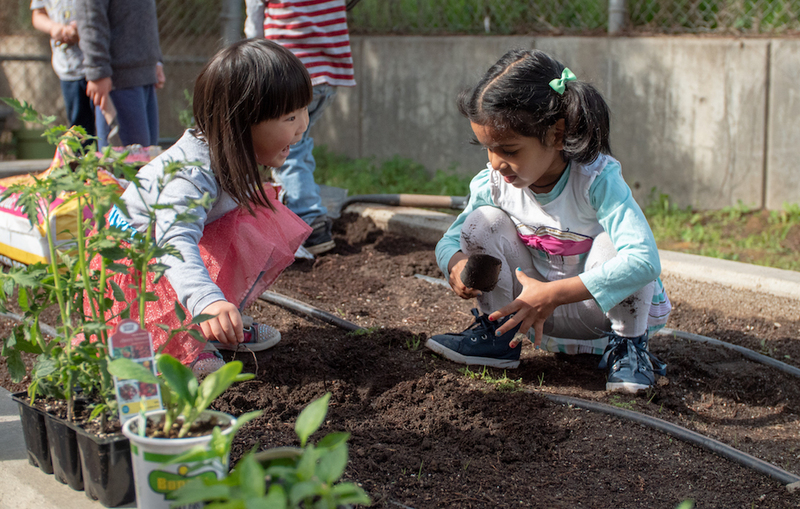 They felt the soil between their fingers and smelled the different scents from the plants. 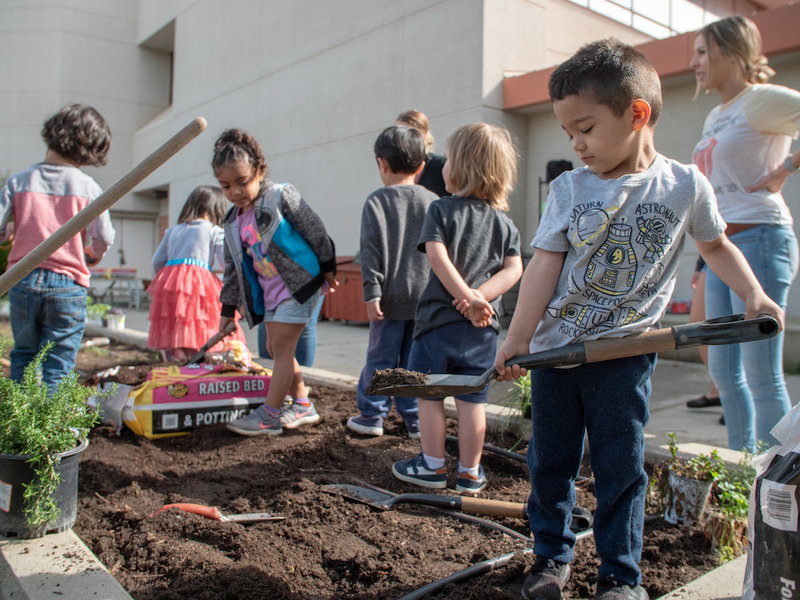 Once the children were done exploring the soil and plants, they started digging in the soil and planting the seedlings and plants. 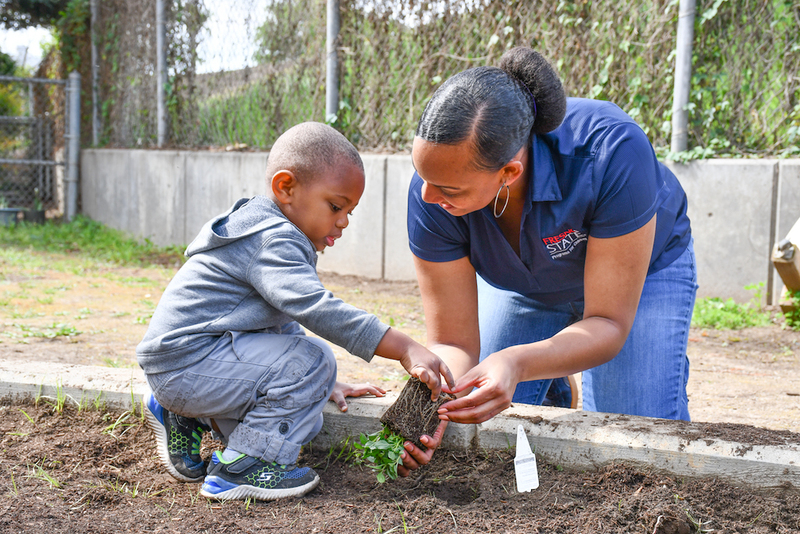 Over the next few months, the children at the Huggins Center will watch the plants grow and will be able to explore the next life-cycle in the garden. 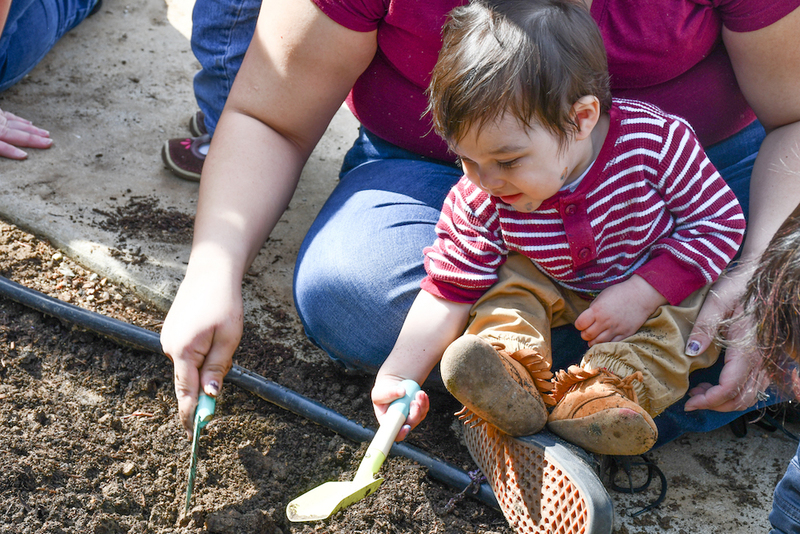 The children at the Huggins Center spend a lot of time in the garden. It is a place which allows children to explore nature, foods and endless sensory exercises. For the WOYC’s Artsy Thursday, the center decided to decorate their garden. Children beautified the garden by creating wind chimes from CDs, painted on the walls and created texturized collages using natural elements. 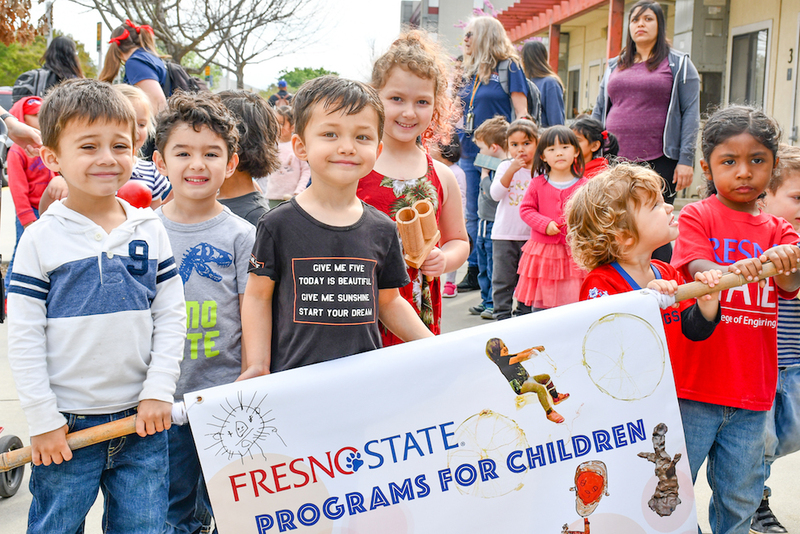 To culminate the Week of the Young Child, the children from the Huggins Center held a music parade across the Fresno State campus. 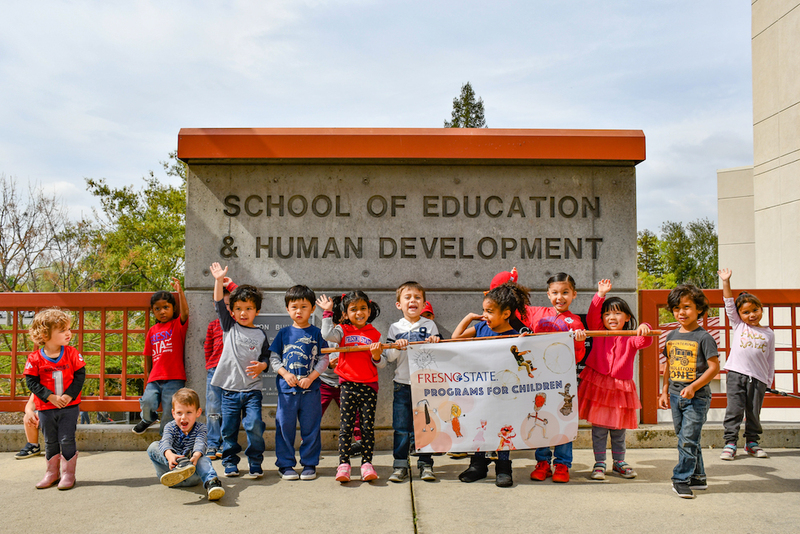 The youngest learners on campus invited their family members and the Fresno State community to celebrate the WOYC. 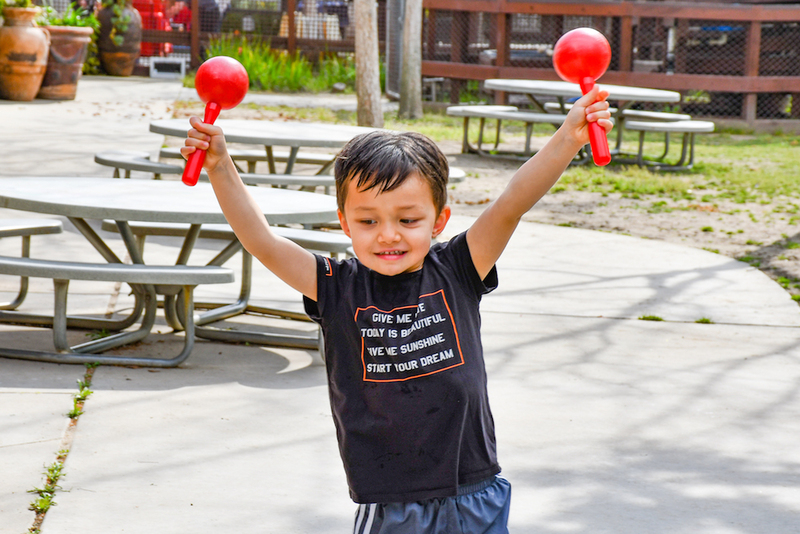 Children brought their favorite musical instruments from home or the center and marched across the campus. If you would like to learn more about the Huggins Center, visit their website.